Riverside Youth Judo Club is for children 5-17 years only. Adult classes can be taken at our adult dojo at UCR. We practice Traditional Kodokan Judo only. We do not teach MMA or "no gi" Judo. The Riverside Police Department and Riverside Judo Instructors collaborated on dedicating the Riverside Youth Judo Club Mat Room in a respectful and meaningful way. The Riverside Youth Judo Club is dedicated to teaching the traditional art of Judo to our City’s youth. The dojo focuses on respectful training and education in a non-profit environment. 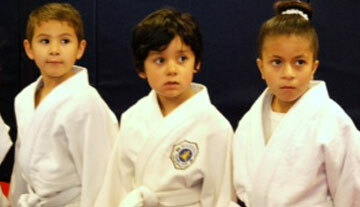 The Riverside Youth Judo club offers scholarships and awards to our most deserving students. ARE YOU READY TO GET YOUR CHILD STARTED IN YOUTH JUDO?